It is an essential component of the safeguarding agenda to ensure that safeguards are put in place when children are featured in any form of media (including the internet). There is evidence that some people have used sporting events as an opportunity to take inappropriate photographs or film footage of young and disabled sports people in vulnerable positions. In addition photographic images may be misused through modification or distribution via the internet. Official media personnel should take care over the angles chosen for filming and particularly in sensitive sporting situations such as gymnastics, swimming and some athletic events. In addition, profile shots of students (side on) are generally less prone to risk of misuse. Accompanying staff are only allowed to photograph/film and share images of a young person for whom they are directly responsible. If consent has not been granted, then no photographs/filming should be taken of this young person. 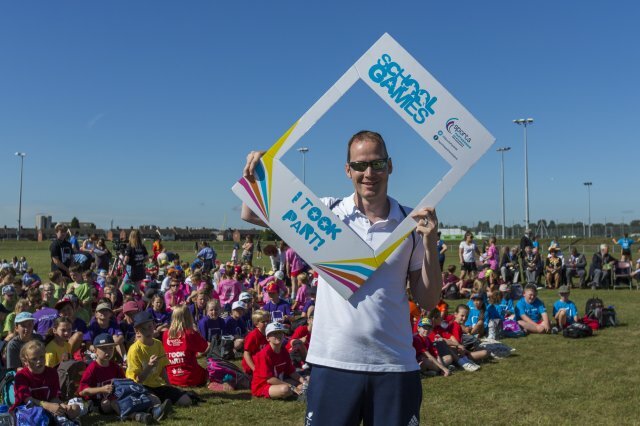 Some people at the Worcestershire/Herefordshire School Games will ask not to be photographed. It is the responsibility of the person taking any photographic image to ensure that they do so according to this policy and do not include any person so identified. Prior to the games, schools must sign and return the 'Photo/Video Consent' form which confirms schools have the necessary parental consent (up to the standard required for GDPR) for students to be photographed / videoed by SPHW or their agents / employees. All schools participating in the event will be registered. Young people who cannot be photographed will be issued with a NEON GLOW wristband on arrival. It is the responsibility of the school to request and distribute these accordingly. It is the responsibility of the school/supervising adult to ensure that all children issued with a NEON GLOW wristband have them visible at ALL TIMES. Whilst every effort will be made to ensure children with a wristband are not photographed this will be made easier if the wristband is always visible. Children are only named in the media where it is integral to the article and permission has been sought from the school. All media personnel, including accompanying teachers and parents must register on arrival at the event and will be issued with photography guidelines. Schools are allowed to take photography of their own pupils but must adhere to the rules surrounding photography at the event. School should take every precaution to only take photos of the children for which they are responsible for. Please be aware that the official images or film that may be captured during any Worcestershire/Herefordshire School Games events using film photography, digital photography, video or other medium may be used by the Sports Partnership Herefordshire and Worcestershire to promote the event and the organisation itself via online channels (such as website, social media pages – Facebook, Twitter, Instagram, Linkedin), other publicity material (such as internal and external newsletters), posters and provided to the media for publication in local or national newspapers.